This classic shot of a galaxy in the constellation of Ursa Major was taken by the NASA/ESA Hubble Space Telescope. 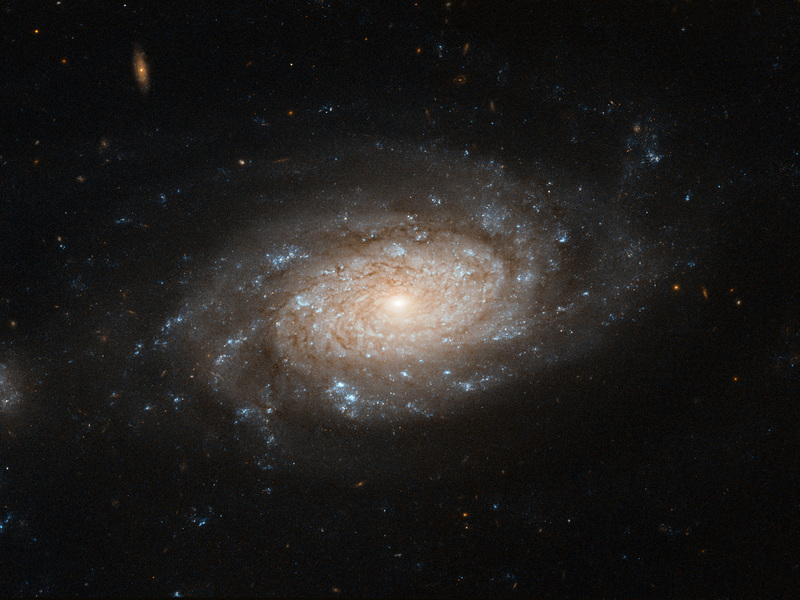 NGC 3259 is a bright barred spiral galaxy located approximately 110 million light-years from Earth. Being a fully-formed active galaxy, its bright central bulge hosts a supermassive black hole, whose huge appetite for matter explains the high luminosity of the galaxy’s core: as it devours its surroundings, the black hole emits intense radiation across the whole electromagnetic spectrum, including in visible light. The beautiful spiral arms of the galaxy are not left out either as they contain dark lanes of dust and gas, ideal spawning grounds for stars. These bright, young, hot stars appear in rich clusters in the galaxy’s arms and are what gives the galaxy its blueish hue. Interestingly, the galaxy has a small companion (visible to the left of the image), a much smaller galaxy that may be orbiting NGC 3259. 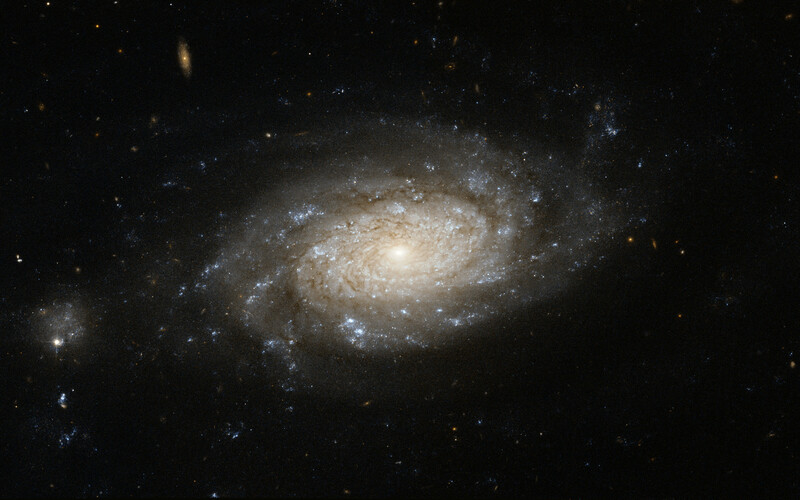 In the background, numerous distant galaxies can be seen, easily identifiable by their elliptical shapes. They are visible here mainly in infrared light, which is shown in red in this image. Position (Dec): 65° 2' 30.59"